Two astronauts travel on the first manned expedition to the planet Venus. When the mission is mysteriously aborted and the ship returns to Earth, the Captain is missing and the First Officer, Harry M. Evans, can’t explain what happened. Under psychiatric evaluation and interrogation, Evans provides conflicting accounts of the Captain’s disappearance, incriminating both himself and lethal Venusian forces in the Captain’s murder. As the explanations pyramid and the supervising psychiatrist’s increasingly desperate efforts to get a straight story falter, Evans’ condition and his inability to tell the “truth” present terrifying expressions of humanity’s incompetence, the politics of space exploration, and the intricate dynamics of psycho-sexual relations . . . 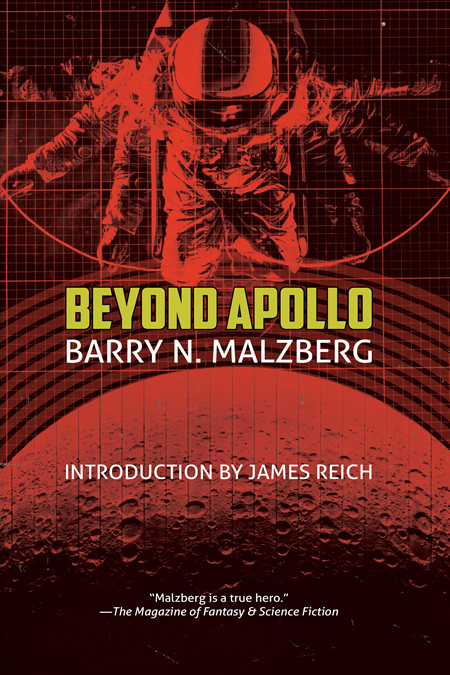 Originally published in 1972, Beyond Apollo incited controversy, polarizing critics and fans despite winning the first annual John W. Campbell Memorial Award for Best Science Fiction Novel. Always disinclined to sell out or compromise his vision, Malzberg became disillusioned with the SF genre, which purported to be the genre of innovation. Paradoxically, many SF editors and publishers worried about unsettling readers’ comfort zones and insisted that authors write in accordance with a set of rules, formulas and codes. Malzberg would neither heel nor kneel; disillusioned, he unofficially retired from the genre in the late seventies and hasn’t looked back. What he produced as a SF writer, however, remains among the best published during the twentieth century—important in its historical context, but also entertaining and thought-provoking in its own right. Dark, acerbic, funny and smart, Beyond Apollo may be Malzberg’s greatest accomplishment. This special anti-oedipal edition includes an introduction by novelist James Reich and a study guide for use in classroom settings.